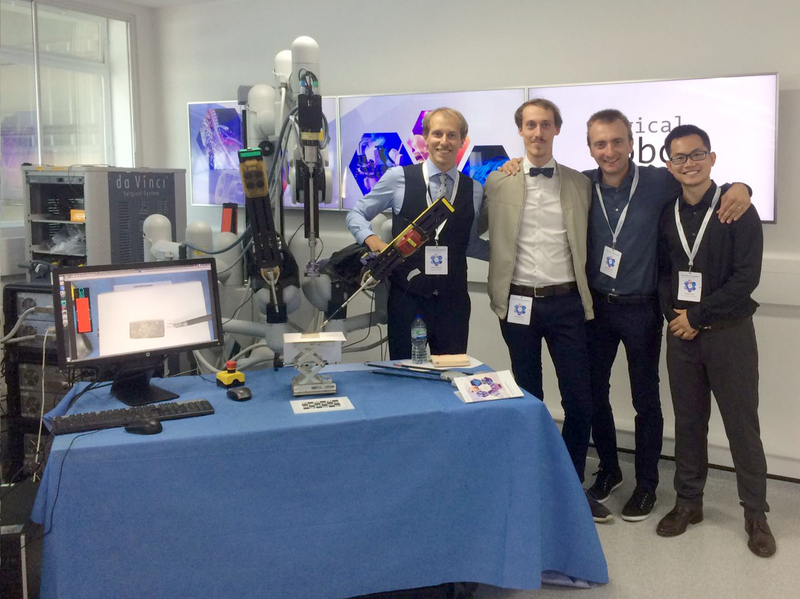 Altair Robotics Lab, IIT and NearLab working together to integrate advance sensing capabilities into surgical robotic tools. EL.I.S.A. – Electric Impedance Sensing in Surgical Applications – is the result of a collaboration between Altair Robotics Lab (University of Verona), IIT (Italian Institute of Technology, Genova) and NearLab (Politecnico di Milano) and it has been partially funded by the ARS and the SMARTSurg projects. The main goal of this research activity is to integrate advance sensing capabilities into surgical robotic tools. The advance sensing is based on a compact embedded bio-electric impedance measurement device that could be integrated with minimum hardware modification in standard surgical tools. Thanks to impedance measurements, an autonomous robotic system will be able to recognize the contact with different tissue types and in different conditions (e.g. healthy and pathological areas in the same tissue or organ). This information could be of enormous importance in the correct autonomous execution of complex surgical procedures, when visual data are not providing enough information for the robust detection and reconstruction of actual patient conditions. This project has received funding from the European Research Council (ERC) under the European Union’s Horizon 2020 research and innovation programme (grant agreement No 742671). Any communication activity related to this website reflects only the author’s view, the Commission is not responsible for any use that may be made of the information it contains. - I contenuti di questo sito riflettono unicamente il punto di vista dell'autore, la Commissione non è responsabile dell'uso che potrebbe essere fatto delle informazioni in esso contenute.